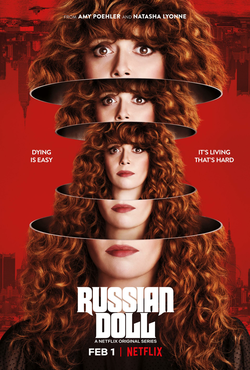 The new Jax Media produced comedy series Russian Doll premiers today on Netflix and the reviews have been phenomenal. The eight-episode first season has been hailed as “a beautiful puzzle piece, a circular, multiplane, existential mystery-comedy set in the villages of Lower Manhattan” by Robert Lloyd of the Los Angeles Times. Lyonne created the series with Leslye Headland (Bachelorette) and Amy Poehler (Parks and Recreation), and even directs the season finale. Headland also directs four episodes, and Jamie Babbit, whose impressive resume includes Gilmore Girls, It's Always Sunny in Philadelphia, and The Marvelous Mrs. Maisel, rounds out the all-female directing team. On review aggregator Metacritic, Russian Doll currently holds a Metascore of 89 indicating “universal acclaim” from 21 critics. The entire first season is available for streaming on Netflix.